I just read a short, but informative tutorial titled, How to Create 3D Images, where Mark Evans encourages you to hang on to those 3D glasses you used at the movie theater. Why? Well, you can quickly create your own 3D pictures in Photoshop and put those wonky glasses to use. Take a peek... it's easy. For the last few years, many of us photographers have been watching the megapixel wars and wondering when camera manufacturers would call a cease fire. Yes, resolution is great. But not to the point where it degrades image quality, especially when working in low light. Well, the cease fire is here. Nikon has remained conservative on the resolution in its DSLR line, focusing on image quality, and has had great success in 2009. 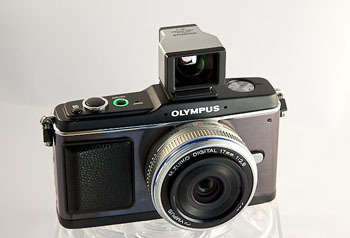 Olympus has stuck with its 12 megapixel ceiling and produced the high ISO performing E-P1 and E-P2. 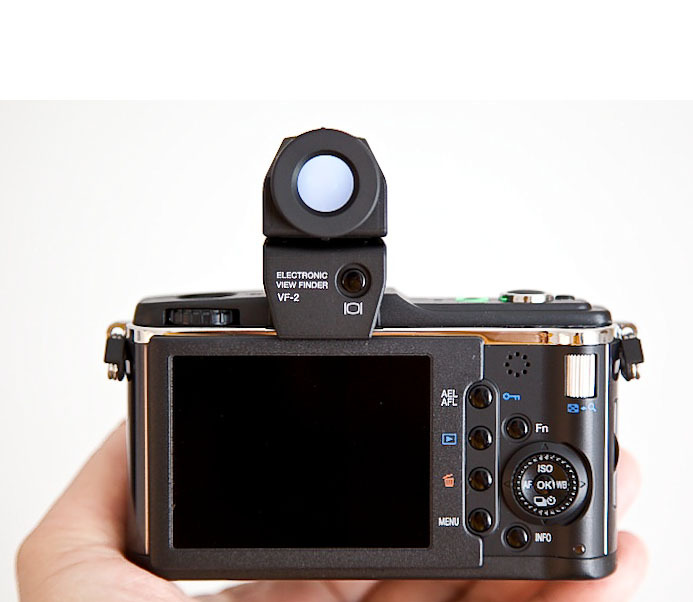 But the real shocker for me was when Canon actually stepped back on resolution for the PowerShot G11. 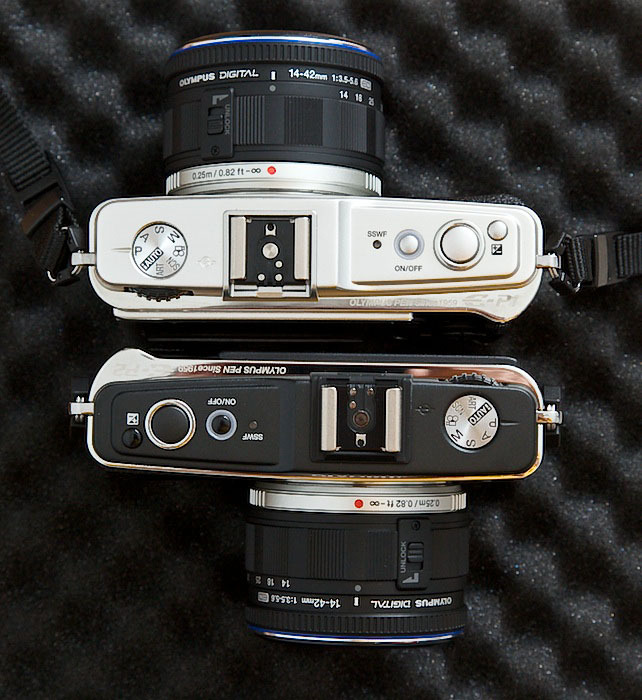 The previous model, G10, sported a 1/1.7-inch CCD that provided 14.7-megapixels of resolution. 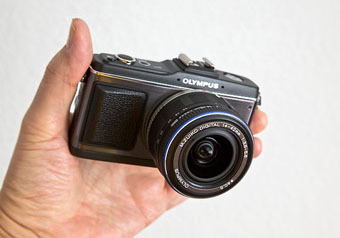 The new G11 has dropped the megapixels to 10.4 on the same size sensor. 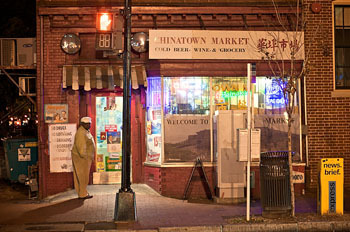 All of this as part of an overall effort to improve image quality, especially at higher ISO settings such as 400, 800, and even 1600. How much noise is too much? 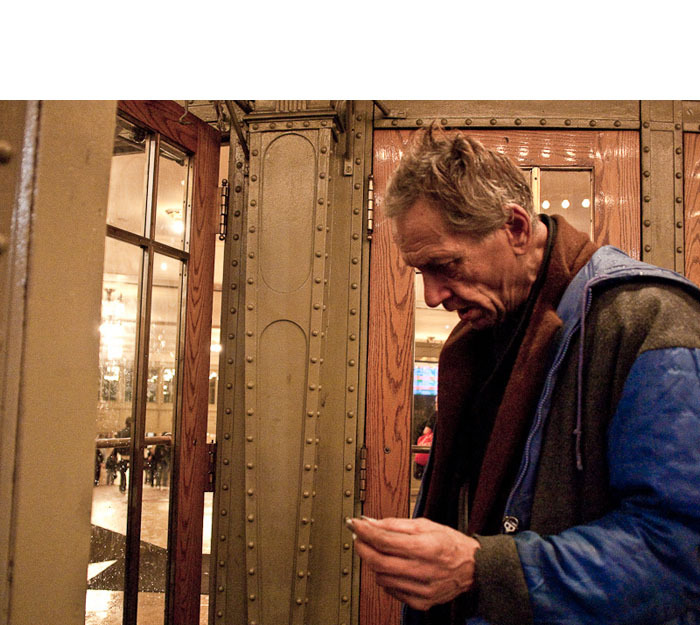 This shot at Grand Central Station was captured with an Olympus E-P1 at ISO 3200. Would I have been able to get the same shot with a flash? You can see the entire set on the TDS Flickr page. In real world use, this means that we can turn off the flash and shoot existing light more often without our images being as compromised by image noise. We use that term a lot, image noise, but what is it really? "Random noise is most sensitive to ISO setting. 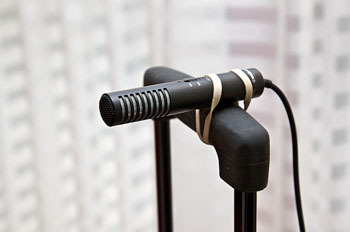 Again, digital cameras have one native ISO setting; higher ISO settings artificially boost the signal produced by the sensor and the noise accompanying it. The results? You get a brighter picture from less light and exaggerated noise. Since the pattern is random, it's challenging to separate the noise from the image, especially texture, and even the best software used to reduce it through blurring may compromise image sharpness; how much depends on the level of reduction." For me personally, image noise isn't always a terrible thing. Sometimes it provides the subtle grit that works with a photo. By the same token, I do want to have some control over how much noise appears in my photographs. And I don't want to spend lots of time in post processing to tame it. So I'm glad the megapixel wars have given way to the image noise challenge. I think many of the latest cameras are going in the right direction, and I look forward to seeing how things play out up the road. Now that we've been shooting with digital cameras for a while, we're starting to see interest in going back into our archives and digitizing old snapshots too. This process requires some of the same organization as we're already using to keep track of photos on our computer. Plus, there are a few other things to consider that are unique to scanning. 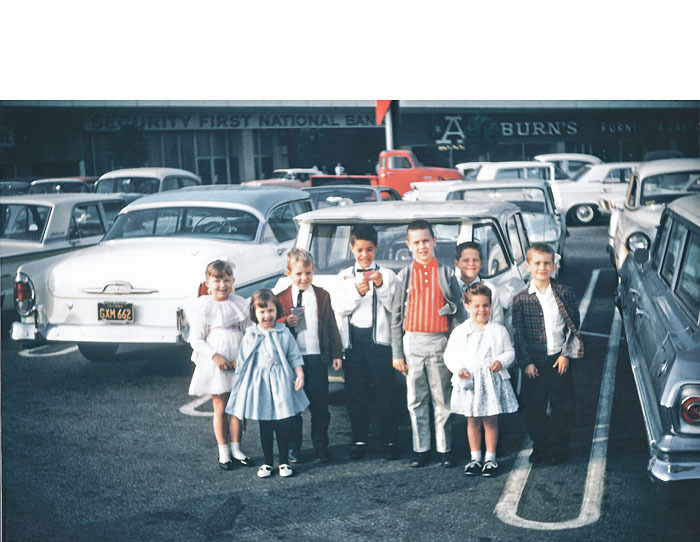 In my Macworld article, Four smart tips for managing scanned photos, I discuss how iPhoto can be an excellent tool for managing recently digitized images. One you add the scan to your library, you can correct the capture date, add location data, and make a few basic image edits too. You'll also want to think about how you're going to archive this material. One thing that I like to do is organize the original photo in a binder with archival sleeves, and note the file name and location of the digitized version with it. That way, not only can you extend the life of the original print, you always know where the digitized copy is too. 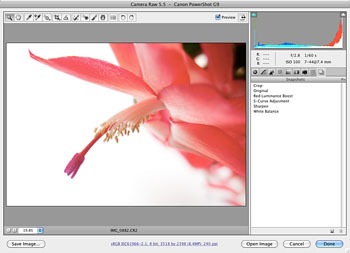 Any of the photo management applications can work for managing scanned photos, Lightroom and Aperture are great examples. But everyone who has a Mac has iPhoto. 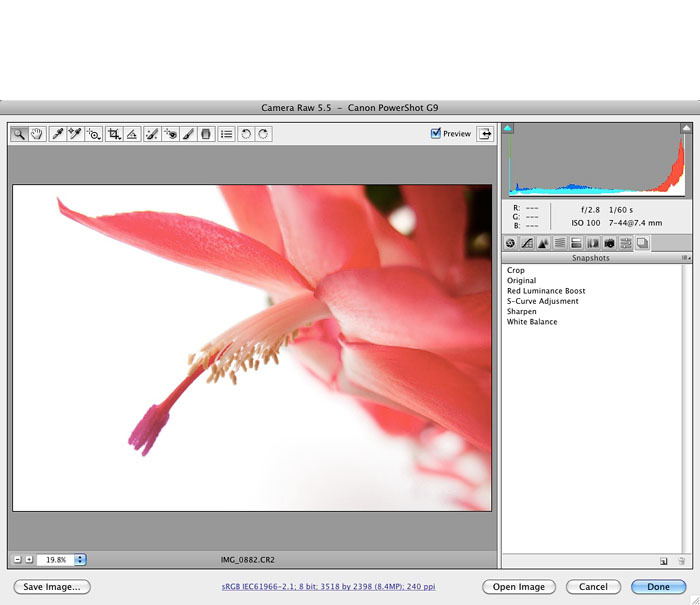 And even if you're not using it to organize shots from your digital camera, it's a good tool for projects like this. 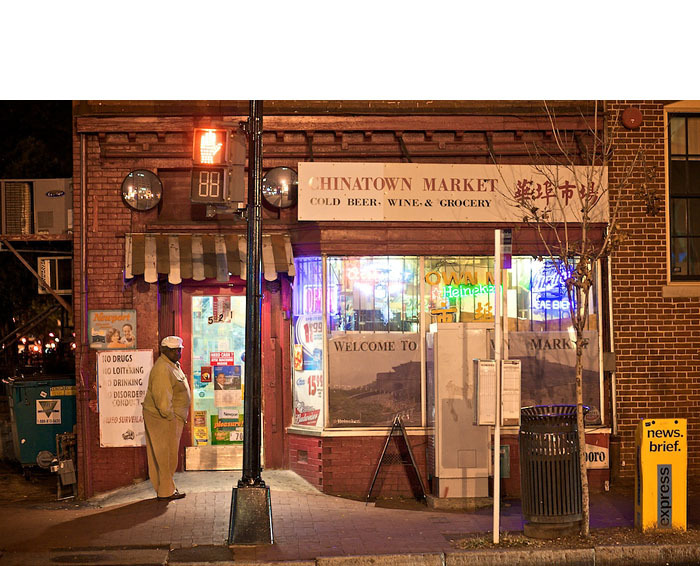 While I was in Washington DC, teaching at the Photoshop LIVE conference, the good folks over at We Love DC put together an evening photowalk. And they were kind enough to invite me. We had a great time. So, as you've read in earlier posts, when I go street shooting, I often decide which rig I want to use, then try stick with it the entire time. This outing, I went with the Canon 5D Mark II and my trusty 85mm f/1.8 lens. An interesting side note about the 85mm f/1.8. One of the photowalk participants noted my glass, then he said with a smile: "As yes, the 85mm f/1.8 -- my favorite lens that I rarely use." If you fall into this category, then I say break it out of storage and get to shooting with it. It's been around for a while, but it's a beautiful lens. 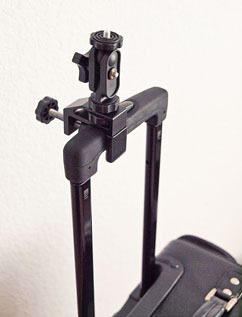 I did pack a monopod, but as is often the case, I never pulled it out of my Lowepro Fastpack 250. I love monopods, but they sometimes slow me down while street shooting. So I usually opt for bracing myself against a wall or a poll during capture instead of mounting the camera on a stabilizing device. Plus, I think it's important to experiment with a variety of shooting angles, and I can become trapped into shooting everything at the same level with a monopod. Photos by Derrick Story. 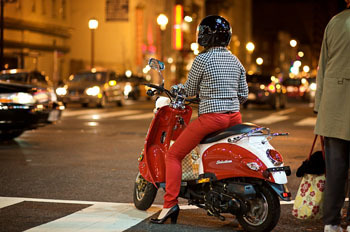 Captured with a Canon 5D Mark II and an 85mm f/1.8 lens. 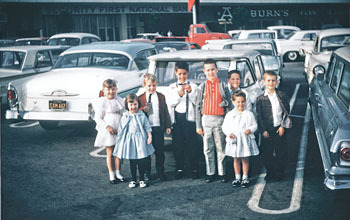 Click on picture to zoom to larger size. More images from this collection are available at the Digital Story Flickr page. 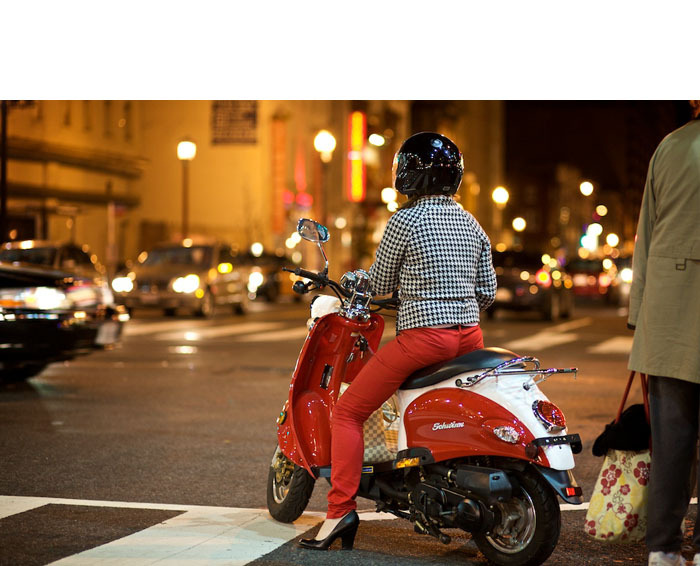 For example, the shot of the red scooter was taking shape about 50 yards away. So I had to sprint into position, then get down low on one knee to frame the shot the way I wanted. I probably would have missed it all together with a monopod. And I hate missing shots! You can see larger versions of these images, plus more frames from this shoot by visiting the Washington DC set on The Digital Story Flickr page. The last seven shots in that set are with the 5D Mark II, and the first five, recorded earlier that day in a different part of town, were with the Olympus E-P1. And thanks to all the DC folks for their great hospitality during my visit! It's quite a friendly town for such a big city. 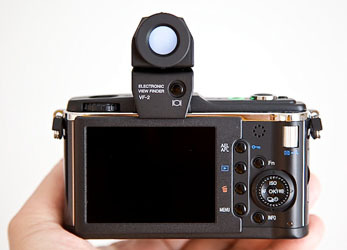 Of all the new features included with the E-P2, the VF-2 electronic viewfinder was the most interesting to me. Here are a few of my notes from testing it with a pre-production model. Very bright. In fact, when you look at a very low light scene, the VF-2 illuminates it like a night vision scope. This makes it great for composition and focusing, but if you want to judge how the image will be recorded, then switch to the LCD for a quick peek. The VF-2 works in perfect concert with both the 14-42mm and 17mm lenses. 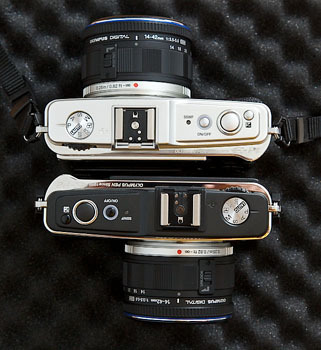 On the 14-42, it responds in real time as you rotate the zooming ring and focus. You can see you camera setting icons, and it even responds to changes such as white balance settings, though not as accurate of a rendition as on the LCD. If you switch to Playback mode, you can review your images while looking into the VF-2. It's one or the other when it comes to viewfinders -- either you have the LCD on, or the VF-2. You control this with the button on the back of the VF-2. There's a diopter ring on the VF-2 that allows you to adjust it for your eyesight. It's very sharp. The eyepiece on the VF-2 rotates upward to 90 degrees. 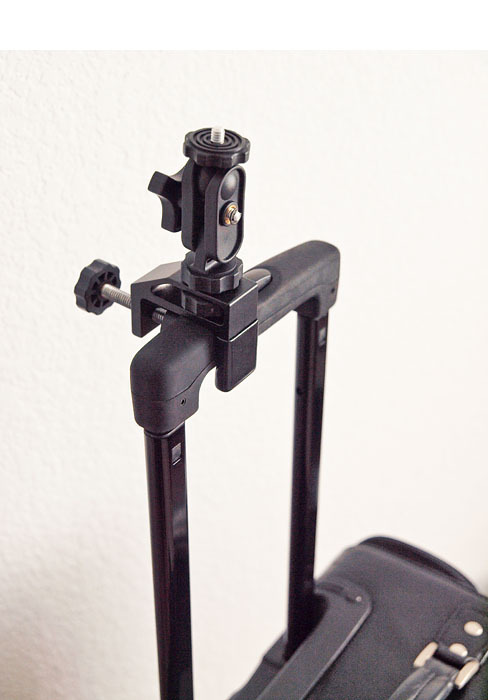 I think this is one of the most practical uses of this accessory, allowing you to position the camera at low angles and look down into the eyepiece. The VF-2 slides into the hot shoe, but communicates through the data port on the back side of the hot shoe. 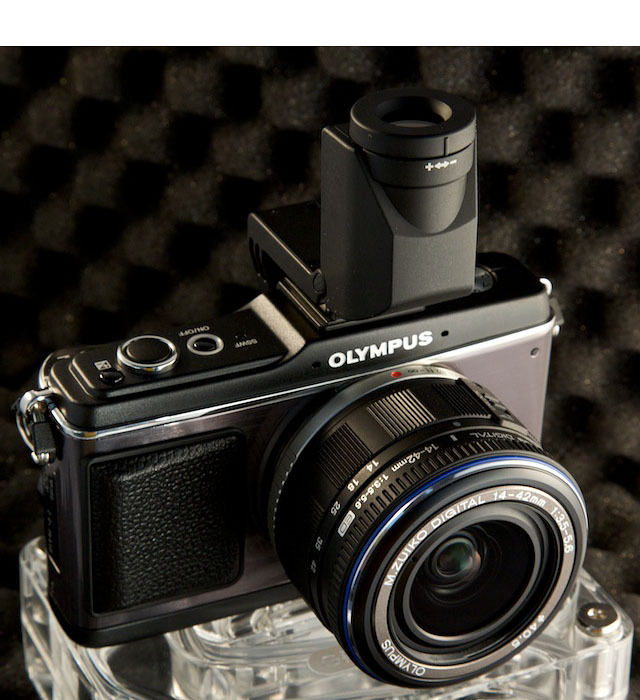 Olympus provides a cover for the data port when it is not in use. The VF-2 comes with a protective pouch that can be attached to the camera strap. It is very lightweight. The black body is quite attractive, in part because it's multi-toned. 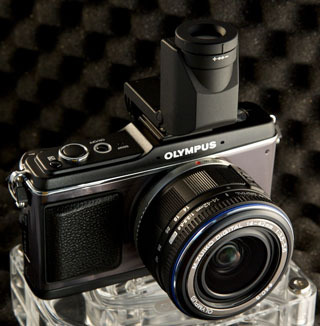 Olympus designers did a nice job with this design. Not only does the 17mm lens work just as well as always on the E-P2, it looks more dramatic against the black body, and the optical viewfinder looks good as well. The LCD is still the 230,000 pixel version that shipped on the E-P1. Image resolution, drive speed, and exposure control remain the same as before, except that you now have manual exposure control in movie mode, which is a big deal. All of the new features on the E-P2 are indeed welcomed, but the most interesting to me are the VF-2 electronic viewfinder, audio input module (separate accessory that uses the new data port), and the black body. 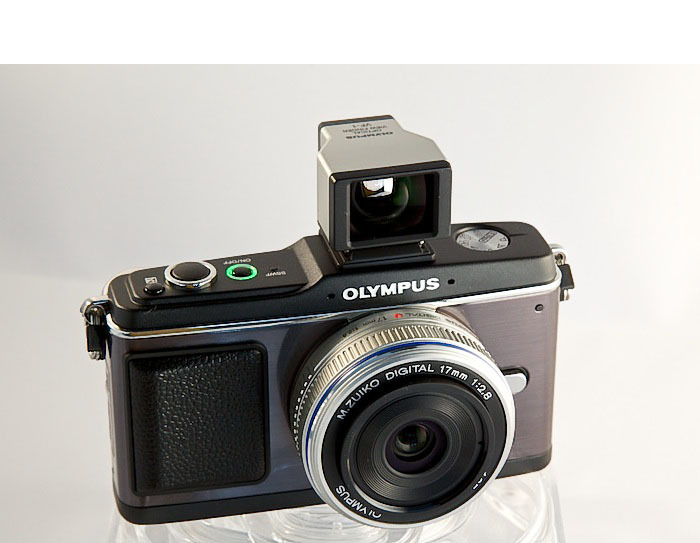 The new kit should be available in December 2009 for a street price around $1,100, that includes: E-P2 Body with ED 14-42mm f3.5/5.6 Zuiko Digital Zoom Lens, and the Electronic View Finder. 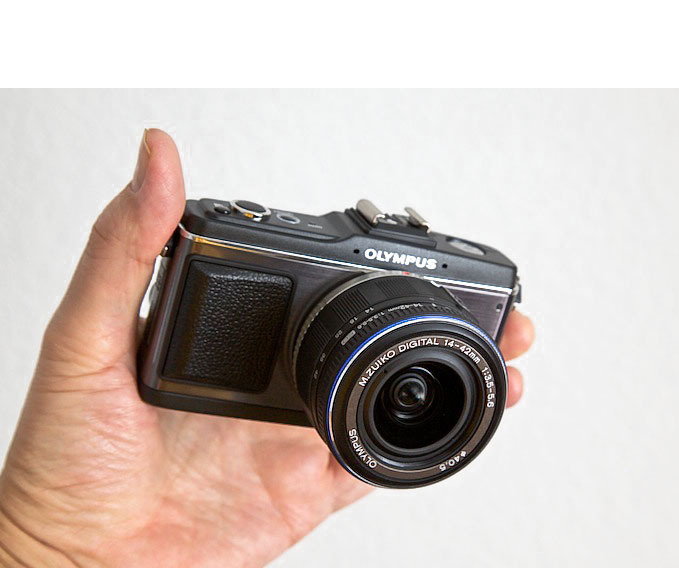 If these new features aren't required for your type of shooting, then the original Olympus E-P1 might be a better choice with its lower price tag (currently around $799 for body and zoom lens). I'll keep you posted as we learn more. When I stepped outside for a bite of lunch after teaching my photography class at Photoshop LIVE, I noticed that it was a beautiful day here in Washington DC. The event was in the The Penn Quarter Conference Center that's right off of Pennsylvania Ave. Directly across the way was the National Archives, which you can see in this photo on the right side of the frame in the distance. Photo by Derrick Story captured with an Olympus E-P1 and 17mm prime lens. Click on image to enlarge. I was seated outside eating my sandwich, and I thought to myself, "this is a lovely scene before me." So I pulled out my Olympus E-P1 with the 17mm lens attached, turned the camera vertically, and shot 12 frames moving left to right. I like to shoot these panoramas vertically because I get more height in the image. I also tend to overlap each frame quite a bit so the merging software has lots of information to work with. When I got back to my hotel room, I uploaded the images and browsed them in Adobe Bridge. They looked pretty good as is, so I selected the entire dozen, then went to Tools > Photoshop > Photomerge. 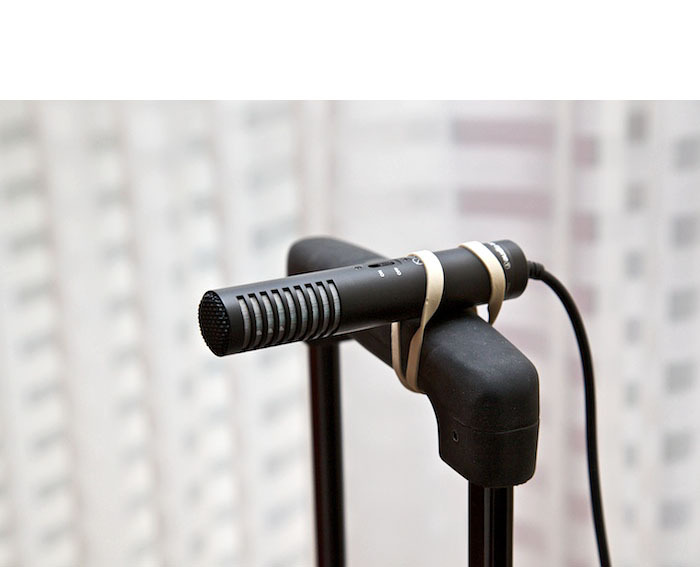 That's right, you can initiate the panorama stitching right there in Bridge. After the images had been processed and opened as a merged, layered document in Photoshop, I played with the composition a bit more using the lens correction filter and Free Transform. The final version is huge -- 14,000 x 4,600 pixels. And it is tack sharp. I reduced the size and made copies for web publishing, which you see here. The upshot is: I had a lovely meal outside, and made a pretty photo too. That's what I call a great lunch break. 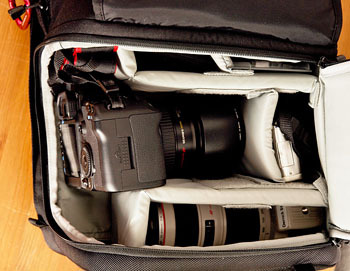 One of the advantages to being the Photography Evangelist for Lowepro, is that I can test any bag that I want. 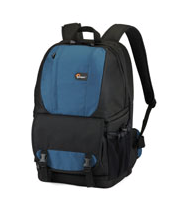 I've had my eye on the Fastpack 250, so I loaded one up for recent trips to New York City and Washington DC. Since I'm traveling from California (and spend a lot of time walking around these cities once I arrive), this has been an excellent introduction to this backpack-styled bag. As Time Magazine recently pointed out when they named the Fastpack one of the best 25 travel gadgets of 2009, this bag holds a lot of gear, but fits nicely under airline seats and in overhead compartments. Its wide shoulder straps, padded mesh back, and comfy waistband have enabled me to carry all of my gear, all day, without fatigue. The top handle makes it easy to pick up the bag or pull it out of a storage compartment. In fact, I won't use a bag that doesn't have this feature. For my urban road trips, I carry a MacBook in laptop pocket (that holds up the 15.4" computer), Canon 5D Mark II body with 24-105mm L lens attached, 70-200mm f/4 L zoom, Speedlite 270EX flash, Canon 85mm f/1.8 lens, Olympus E-P1 with both 14-42mm and 17mm lenses, two external hard drives, M-Audio digital recorder, Audio Technica external mic, cables, accessories, and personal items such as toothbrush, etc. The laptop has its own protected area behind the backpad that's easily accessible via a long zipper that runs the length of the bag. This is particularly nice when going through airport security and I need to remove the computer in a hurry. The Canon 5D Mark II can be quickly reached through a side opening. I found that I can slide the Fastpack off my right shoulder, open the side access, and pull out the Canon in just a few seconds -- terrific for street shooting. 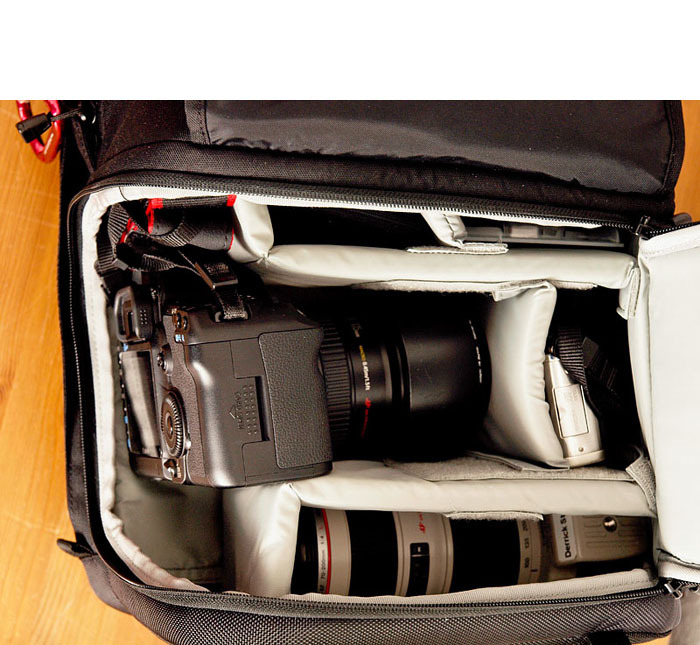 I organize the bag by keeping the camera gear in the bottom compartment with the side access, and stowing my personal gear in the top compartments. Speaking of the bottom compartment, if you unbuckel the security flap that covers the bottom of the bag, you can unzip the entire front area for easy access and organization, as shown in this illustration (click on photo to enlarge it). This also reveals another zippered pocket that's handy for documents. On the other side of the bag is a mesh pocket that's perfect for water bottles, or anything else that you want to grab quickly. My favorite color combination is the arctic blue and black available at Amazon for $89.95. I was telling a friend today who also has a Fastpack, that I really should be testing other bags too. Problem is, I like this one so much that I don't want to leave it behind.